Even if you aren’t “friends” with your parents on Facebook, consider anything you post to Facebook and the internet fair game for them or anyone to see at some point. Images that are uploaded to Facebook can still exist on Facebook’s servers even after they’ve been deleted from the site, and there’s no telling who can retrieve them or how long they’ll eventually stay there. But the main thing is that you want to present an image of yourself that you would feel comfortable with college admissions counselors looking at – and potential employers. Facebook is notorious for frequently changing its Privacy settings without user notification. 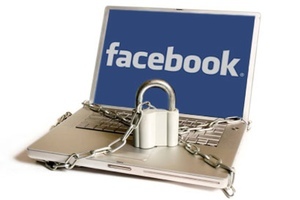 Make sure any personal information you have posted to the site is locked down or not easily accessible by people you don’t know, as scammers and identity thieves can make their livings by stealing your information off Facebook. Change your password frequently, as hackers may attempt to break into your account to steal your information that way, and always make sure you fully log out if you’re using Facebook from a public or shared computer. Many teens have found out the hard way that “friends” often play practical jokes by logging into another’s account and altering their profile information without their knowledge, often with damaging results to one’s reputation. While this should be common sense, “friending” people you don’t know on Facebook can be dangerous. There is often a mentality that the more “friends” one has, the better, but the reality is that by “friending” people you don’t know, you’re giving yourself up to the risk of having someone steal your information, opening a channel for stalking both online and in real life, and putting yourself at the mercy of people who might possibly want to harm you. Even if you’re extremely careful about what pictures and information you post about yourself online, in today’s social world, there’s no guaranteeing that others might respect the same guidelines, and chances are high that they will post something of you. Be aware of pictures that have your named linked to them; if someone posts potentially scandalous content of you without your permission or acknowledgement, stay on top of it and do not hesitate to contact the poster immediately and ask them to remove it. It may be tempting to post every detail about what you’re doing as you do it, but hesitate before you update that status! Putting up a status update is like stepping into a crowded room and shouting exactly what you’ve written in that post – and every person on your “Friends” list has just heard it. You may be excited about the vacation you’re taking out of state next week, but if your privacy settings aren’t secure, to a criminal passing through, it’s an advertisement that your house will be empty for those days.